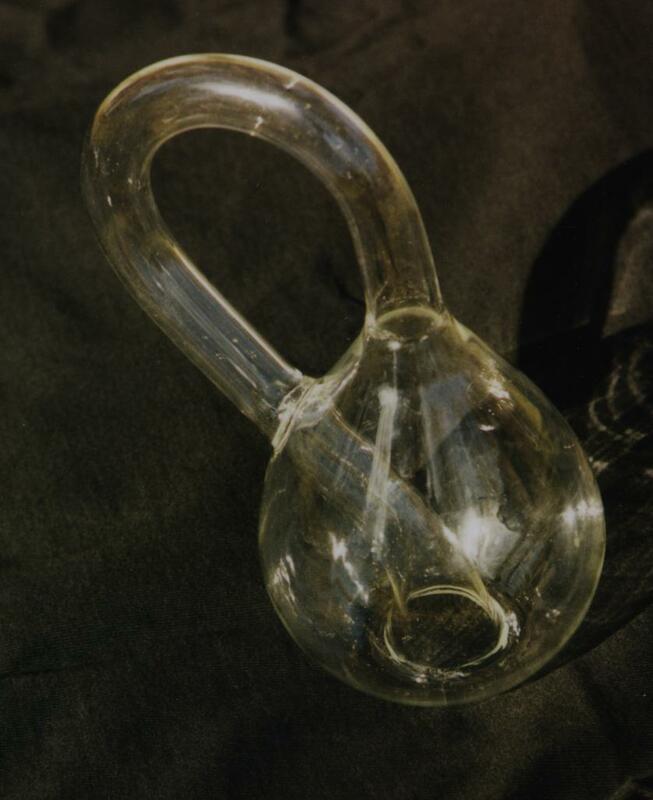 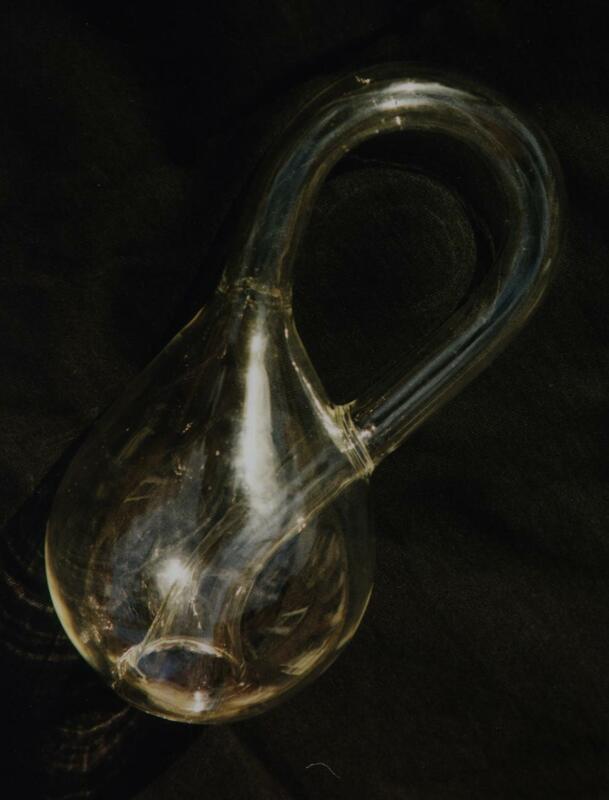 of an eight-inch glass Klein bottle. 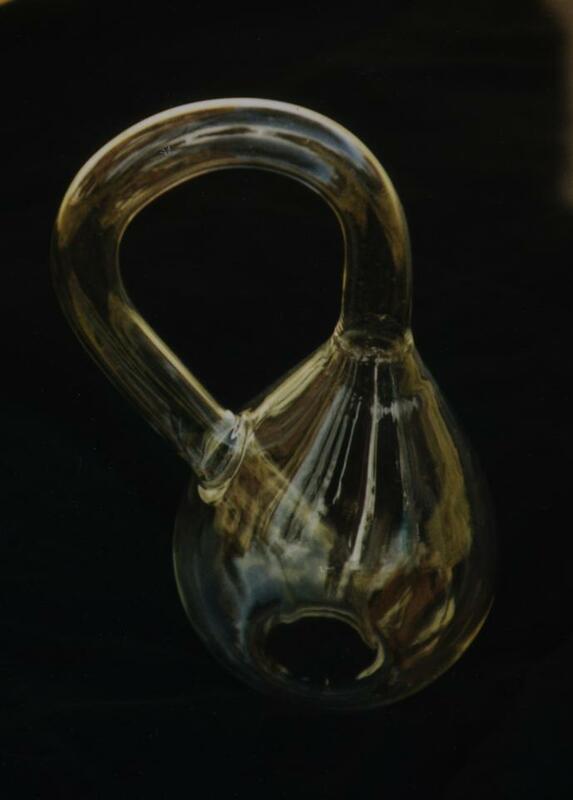 I bought this from Cliff Stoll of Acme Klein Bottles; they have a number of different models, under $50. 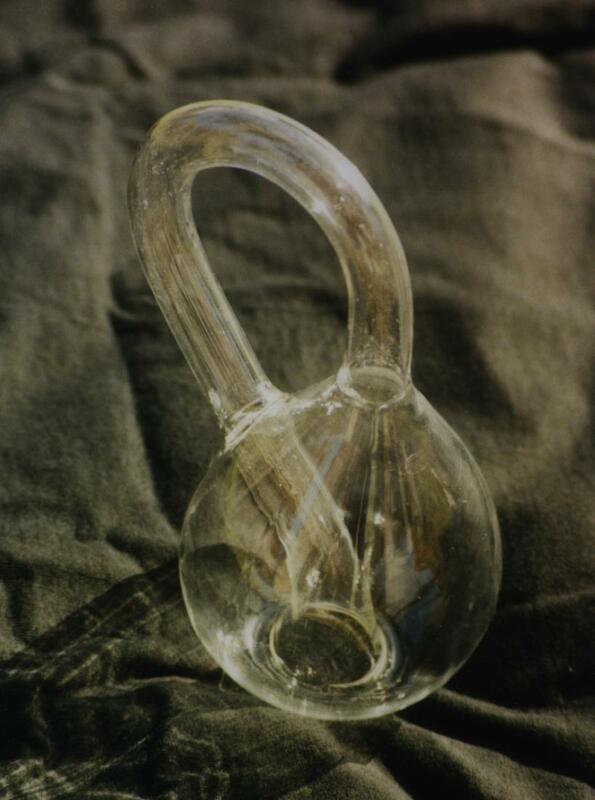 See also my computer-graphics Klein bottles. 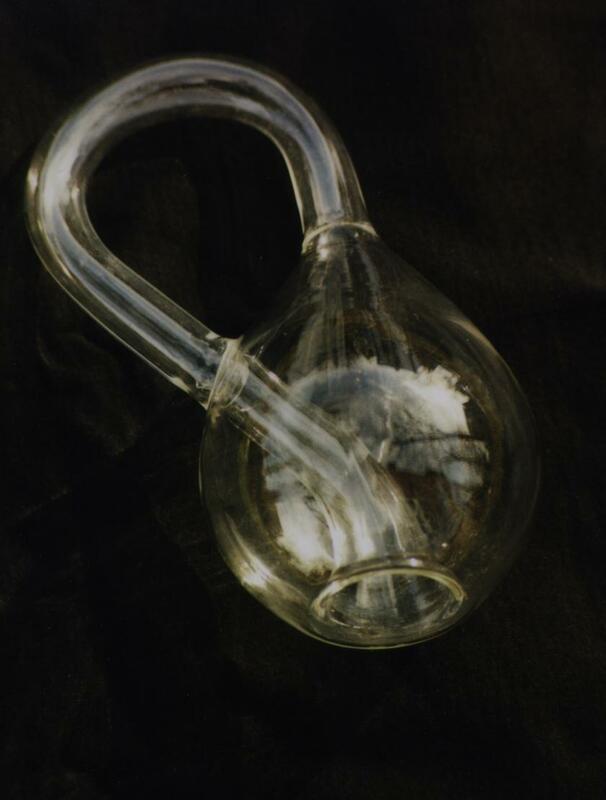 Click on any thumbnail for a larger JPEG image.